There’s been a lot of talk and articles written about Canon’s new EOS-1D X, but what exited me about their new flagship body was its all new focusing system. After my initial research I managed to get my hands on one, although only briefly, when the Canon rep turned up at a local Camera store – I was instantly hooked. Convincing my wife that life couldn’t possible go on without one was a different matter, but I finally managed to convince her that the gazillion dollar price tag was worth it! If you want to know all the technical spiel about this camera there are plenty of websites and good articles out there to satisfy your geeky side. For me, I just wanted a camera that performed well and would do a good job of capturing the images I was after. Familiarising myself with the new focusing system was my main goal, which is a lot easier said then done. In fact Canon should supply a free technician with each purchase – I’m sure the price tag could cover it. The focusing system is extensive and covers over 60 pages in the manual; fortunately Canon have done a great job with the built-in menu, to the extent that they have included information at a press of a button, explaining the different settings. It all sounded impressive but I needed to put it through its paces, and to make sure I hadn’t wasted my money – or my marriage. It had to perform! I set off for Muriwai, as at this time of year the Australasian Gannets would be breeding there, so it would be a great place to take some action shots to test the 1D X.
There’s no hiding the fact the 1D X is a large and heavy camera, but for me it’s not an issue, as it feels well balanced and comfortable in the hand. It’s well built, which is good, as even though I don’t abuse my gear, I don’t treat it with kid gloves either. My cameras and lenses are my tools and are treated as such. Any of the 61 AF points can be easily selected using the multi-controller, similar to previous 1D’s, but Canon has added a second controller for the vertical grip which is a big plus for me, as controlling AF points quickly is important for the way I shoot. So how well do all these focus points work? With baited breath I pointed the 1D X with an EF 500mm f/4L IS USM attached (pre calibrated) at the incoming gannet (I had set the AF Configuration Tool to Case 5 and AF area select mode to automatic selection) – wow, it locked on instantly as I half pressed the shutter. The auto selection did a great job of locking onto the target, but as you would expect it didn’t always lock on at the desired place. It would sometimes lock on to the nearest part of the bird, or the part with the most contrast. For more control the 61 AF point are divided into nine zones. This made it easier for the focus to stay on the intended target as the above image shows. Even though there were nearer gannets in the shot the 1D X kept on its target. The next morning I tried tracking the birds through the shadows to see how the 1D X would track with less light and contrast available. I wanted to make sure the focusing stayed on the bird's head, so still in Case 5 for fast erratic movement, I set a single AF point with expansion: surround. I started tracking the birds in the shadows of the cliffs, as they flew towards me only feet above the surface of the water. As they started their ascent up the cliff-face and broke into the sunlight I started shooting. 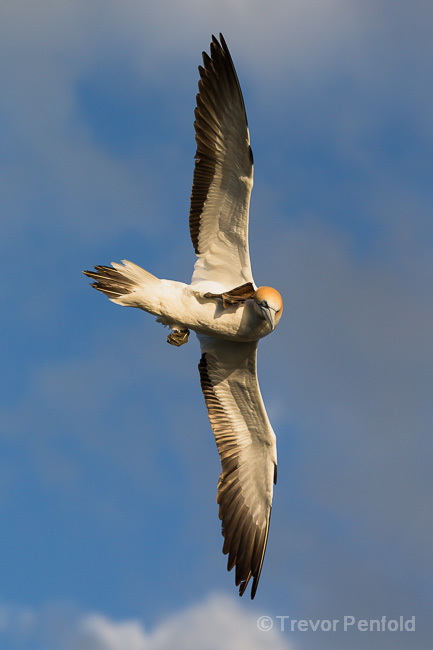 Even though there was more contrast on the gannets' wings from the sun as they broke free from the shadows, the focus stayed firmly on the gannet's head. The 1D X AF system not only takes into account contrast but also colour, making it easier for the AF to stay on target. No trouble with shots like this, but then all cameras should capture well-lit subjects moving slowly. As the Sun dropped I thought I would try some silhouettes. There was a fair amount of cloud about and as light levels fell, just seeing the gannets became difficult. The 1D X still managed to track the birds, although not 100 per cent, nearer 80 per cent of the time, and as they passed in front of the brighter areas, I fully pressed the shutter. 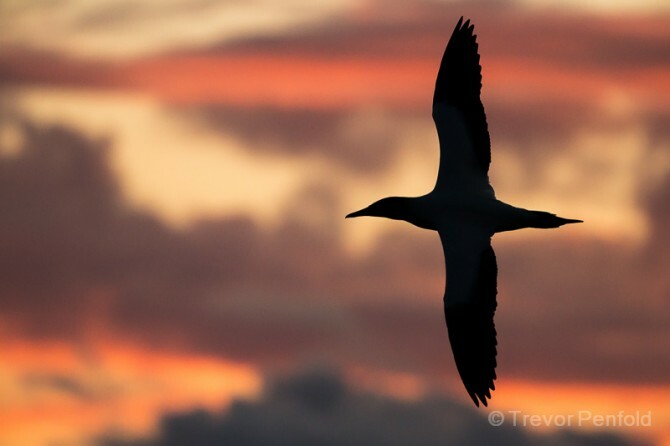 Although the gannets would often fly quickly, especially when the wind picked up, their trajectory was often predictable and, being large birds, pretty easy to track. I needed faster prey, and ones that moved more erratically. Bring on the White-fronted Terns. These little birds often seem to fly at the speed of light, especially when you to point a camera at them. In high winds, which are common at Muriwai, they’ll dive this way and that, twisting and turning as they look for a place to land. Because of their size and distance from me I had to attach a 1.4x extender. With such a narrow angle of view, tracking these little aerial acrobats wasn’t easy. They would only be in the viewfinder for a matter of seconds, often fractions of a second. 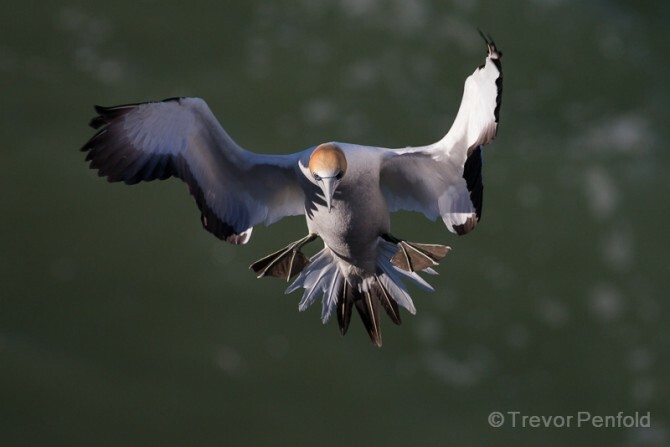 Unlike the gannets, predicting their flight path was very difficult, so I had to rely on good technique and the speed of the camera’s ability to lock on to the subject – in a fraction of a second. With an extender now attached I knew this would reduce the sensitivity of the AF system, but I’m pleased to report the 1D X performed better than expected. Here are just a few of the images I captured of the terns. Exposure mode was set to manual. I’ve included the last image to show that even when the tern started to drop behind the grass the AF still stayed locked on. I know this has only been a brief test, but so far I’ve been very impressed with the capability of the 1D X’s new auto focus system. One other slight concern I had was going from a 1.3 crop factor of my 1D III to a full-frame sensor, especially for bird photography. To be honest, I thought I would miss the extra reach of the 1D III. I’m sure there will be times when I will, but so far it has not been a problem. One advantage of having the full-frame when photographing erratic, fast-flying birds is that you get a bit more space in the viewfinder. Even though I had to crop some of the tern images, it meant I could fine tune the composition. Interestingly, after cropping, I was still left with a larger image/file than an uncropped image from my 1D III. I still need to do a lot more testing, including a closer look at low light shooting and ISO settings (noise levels). Is it worth the money? In just the short time I’ve had it I would have to say yes. Do I wish it sold for less? Of course, but so far it seems to be doing everything I ask of it. More importantly, my wife was impressed with the images, so the marriage looks safe. 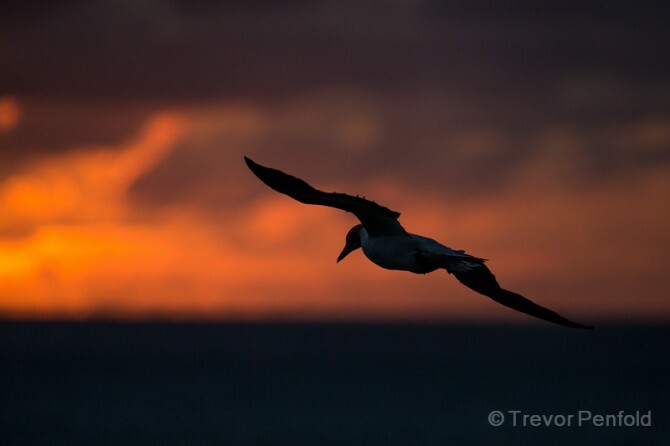 Acclaimed New Zealand wildlife photographer Trevor Penfoldshares his ongoing photographic adventures here at D-Photo as well as on his blog. For more from Trevor be sure to visit his website www.trevorpenfold.com.